Morton Klein, the president of the Zionist Organization of America, which is America's oldest and largest pro-Israel group, slammed Democrat presidential candidate Beto O'Rourke for engaging in Holocaust trivialization. While campaigning last week, O'Rourke falsely claimed that President Donald Trump called asylum seekers "animals and an infestation," before saying: "Now we would not be surprised if in the Third Reich other human beings were described as an infestation, as a cockroach or a pest that you would want to kill." 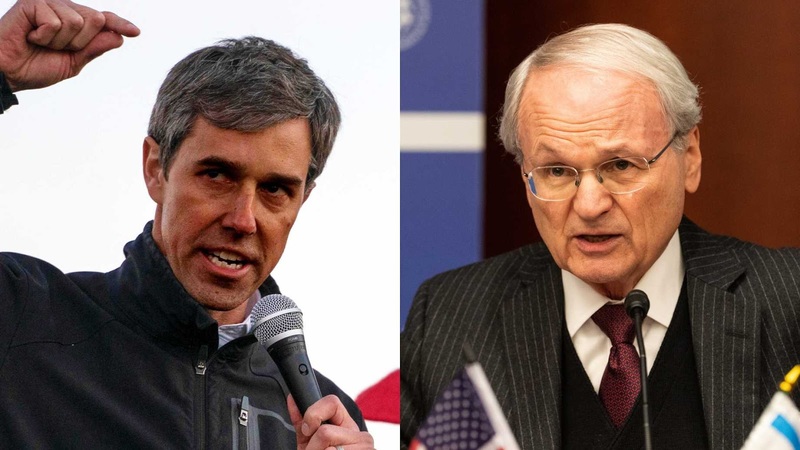 ZOA immediately condemned O'Rourke in a tweet, writing: "The Zionist Organization of America condemns this type of hateful and ignorant rhetoric in the strongest possible terms. Mr. O’Rourke should immediately apologize for his willful trivialization of the Holocaust." ZOA condemns O’Rourke’s disgraceful and ignorant and insensitive comments comparing Trump to the Third Reich. Especially in light of the fact that Trump has been the greatest friend to the Jewish State of Israel we’ve ever had in the White House and that his daughter, son-in-Law and grandchildren are Orthodox Jews. As a child of Holocaust survivors, I demand that O’Rourke must immediately apologize to President Trump and the Jewish people for his moronic and shameless trivialization of the Holocaust which massacred 6 million Jews including most of my own grandparents, aunts, uncles and cousins and my fathers first family. Shame on Mr. O’Rourke! O'Rourke's comments were so shocking that even members of the media immediately pressed him on why he made the comparison. O'Rourke responded by making five false or misleading statements about the president and the administration. This is not the first time that O'Rourke has engaged in trivializing World War II and the horrifying acts of evil that occurred at the hands of Nazi Germany. In March, O’Rourke embraced the climate change hysteria peddled by socialist Rep. Alexandria Ocasio-Cortez in a speech where he compared people who write climate change proposals to "those who were on the beaches in Normandy" taking gunfire from Nazi soldiers. "Let us all be well aware that life will be a lot tougher for the generations that follow us, no matter what we do," O'Rourke said. "It is only a matter of degrees. Along this current trajectory, there will be people who can no longer live in the cities they call home today. There is food grown in this country that will no longer prosper in these soils. There is going to be massive migration of tens or hundreds of millions of people from places that are going to be uninhabitable or under the sea." "This is the final chance," O'Rourke continued. "The scientists are unanimous on this. We have no more than 12 years to take incredibly bold action on this crisis. My gratitude is to them for the young people who stepped up to offer such a bold proposal to meet such a grave challenge. They say we should do nothing less than marshal every resource in the country to meet that challenge, to reduce our dependence on fossil fuels, to get to net zero emissions, which means not only must we emit less greenhouse gasses, we must plant things that absorb greenhouse gasses and carbon and invest in the technology to allow us to claim some that are in the air now. Can we make it? I don't know. It's up to every one of us. Do you want to make it? "